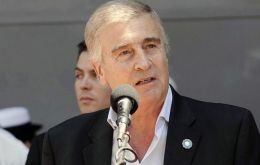 “The Malvinas Islands will finally, through diplomacy, be Argentine”, said Argentina's Defense minister Oscar Aguad on Tuesday at the main ceremony on the start of the 37th anniversary of the South Atlantic conflict with the United Kingdom. 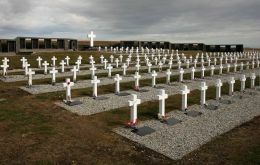 Scientific investigations into the ten body remains that are still pending of identification are advancing significantly, announced on Tuesday Argentina's Human Rights and Cultural Pluralism Secretary, Claudio Avruj in reference to the unmarked graves of combatants buried at the Argentine military cemetery in the Falkland Islands, a legacy of the 1982 South Atlantic conflict. 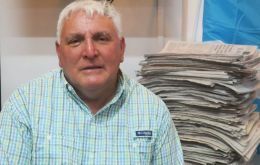 Fernando Otero is the only Spaniard recognized by Argentina as a veteran of the 1982 war between the South American nation and the United Kingdom for sovereignty over the Falkland Islands, but his case could set a precedent for another 21 forgotten compatriots. 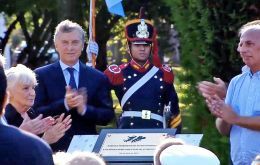 Argentina's historic claim on the Falkland Islands is “legitimate and irrevocable,” President Mauricio Macri said on Tuesday, April 2nd. at a ceremony marking the 37th anniversary of the 1982 South Atlantic conflict with Britain. 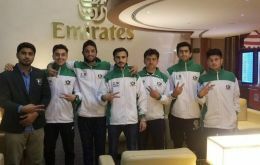 Pakistan futsal team on Sunday returned Lahore after being deported from Dubai after having stayed there for 24 hours en route to Argentina where the Green-shirts were scheduled to make their debut in the 12th World Futsal Championship which began on Sunday at Misiones. 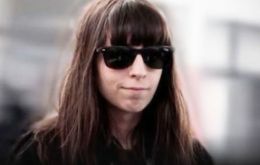 Ex president Cristina Fernandez de Kirchner said a court order “forcing” her sick daughter to return to Argentina is “very grave and absurd”. 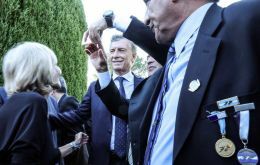 Florencia Kirchner must return to Argentina from Cuba on Thursday April, 4, to stand trial for money-laundering. 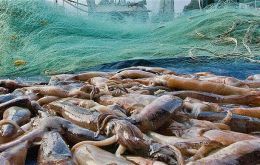 She is currently in the Cuban capital, Havana, receiving medical treatment for several conditions, including post-traumatic stress, amenorrhea and lymphedema. 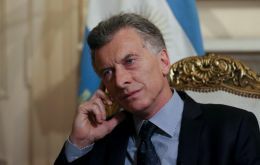 Contrasting and controversial political ads for the Argentine presidential election next October have emerged allegedly launched by Mauricio Macri's advisory team, and they have caused quite a surprise when not a stir. 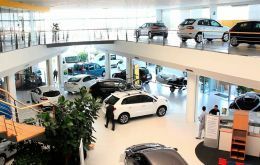 The idea is to promote public works and investments undertaken by the Macri administration despite the virulent criticism of current policies.